Today I'm going to share how burnout can be caused by over exercising and under eating. I'm going to be sharing my personal story of how I experienced my first burnout and that's right, I said my first burn out because there were actually two separate instances, both completely different circumstances of me burning out. But today we're going to focus on over-exercising and under-eating and what that looks like to your health. As a certified wellness coach, I help high achieving women increase their network, both financially and relationally by beating burnout and revitalizing their health and I having a personal experience of burning out by going after that “ideal body”, you know, that slim perfect figure where there are no bumps, nothing's poking out. Everything is exactly where it should be. You are perky and you are tight and you are super fit and lean, right? There is no wiggle and no jiggle. Is that what we're all going for is? Does that sound a little familiar to you? I was going after that ideal body and after years and years of fighting with my weight, and it actually all started when I went on the birth control pill in 1999. After that my body was just no longer my own. I had no control, or so I thought, of what my body was doing, and I basically played the weight game from then until 2012. In 2012 I had had enough, I had had three kids, I was not planning to have any more kids. And I said this is the time for me to just basically reinvent myself, and I am taking charge of me and my health by focusing in on my weight, and I'm going after that very ideal, fit, Barbie-esque type shape. So, what did that look like? I threw everything of who I was into working out. I was working out morning and night. I was waking up at two thirty in the morning to get to the gym by three o'clock in the morning. I was doing a little bit of cardio before weights, an hour of weight training and then another hour of cardio when I was done weight training. And then in the evening, I was doing more. Sometimes I went for a 3-5 mile run and sometimes I did a cardio type of workout video. But often times it was more weight training with a run. That can only be sustained for so long. Basically, I started hitting a wall. I was definitely losing weight. My shape was definitely changing. I had gotten to the leanest that I had ever been. But here's the thing, I technically “looked the best” according to society but I felt the worst that I ever had, and it was awful. I had also gone through a separation and divorce in 2012-2013. I had gone from being a stay at home mom with a successful photography business that I had on the side to being a single mom and being thrust into the workforce. I got a job working full time for a nutritional supplement company and I had also dove right into a terrible relationship. I don't recommend that by the way. Going through a divorce, becoming a single mom, going to work full time, having a terrible relationship, and then coupling that with insane exercise and under eating led to my first burnout. I was so hyper-focused on what I was eating. I was eating a high protein, low carb, zero fat diet, and that just does not allow for any energy to be produced whatsoever. I was getting sick all the time. I was irritable, I was cranky, I wasn't sleeping well, and I wasn't performing well at work. I was struggling with mental fogginess, I wasn't thinking straight, I was forgetting things, and that's just not who I was. It was kind of freaking me out a little bit about what I was becoming. Then what I was also dealing with was sickness, chronic sickness; I was getting colds over and over and over, it was taking so long to get over them, and then finally in 2014 I had a prolonged sickness that kept me home for nearly three weeks!! At that time I had to pause and ask myself “what am I doing in my life that's causing all of this sickness and this fatigue in this overall exhaustion?”. I realized that I was not the mom that I want to be at all, I was not the employee that I want to be. I was still trying to run a coaching business on the side while still doing some photography, that was just a recipe for disaster. I was juggling everything and striving to do more. So, I had to literally take a step back, look at my schedule and see what needs to go, what needed to be removed. The very first thing that I let go of was the exercise and the under-eating. I also happened to be working for the foremost expert in adrenal fatigue. And so through my education and my training and working with Dr. Wilson, the reality hit me- I was basically burnt out. I had adrenal fatigue, I had run a cortisol panel to check my hormones to see where they were; and let me tell you, that was a hot mess. What is considered normal was nowhere near where I was at all. So, I took a six month break from any exercise whatsoever, basically, the only exercise that I was doing was pretty much walking the dog. Once in awhile I did some yoga, but other than that there was nothing else. I definitely got rid of the terrible relationship because that wasn't serving me well at all. I decided to just focus in on myself and being the best me that I could be and that started with eating properly. There is currently an overabundance of people that are scared of carbs right now. When you are burnt out it is essential that you have carbs and fat along with protein in your diet for energy production and healthy hormone conversion. Your body simply can not create energy if you are missing key nutrients that come from carbohydrates and fats and proteins. So, if you're omitting any of that let me just warn you right now to maybe consider taking a look at your diet. If you are struggling with burnout, chances are that your diet could have a huge impact on your recovery. So, in time, between working with Dr. Wilson, working with some other practitioners to help me get back on track, and really becoming okay with the way that my body looks (and I won't lie that was a huge work), I began working towards my recovery. I had to work on my mindset, leaving behind the thoughts telling me I was failing because everything in society is saying, if you don't look a certain way then you are not worthy. That's a hard thing to change when you've been hearing, believing, or thinking that for so many years. What I realized is that my overall outlook on my health will impact my future generations. I have a daughter, what was the example that I was setting for her by being hyper-focused on an ideal body image for me? I don’t want her to have a distorted image of health and think her worth is tied to her appearance. For the past four years I zeroed in on what healthy looks like for me and learned what I need to do to avoid burnout. That's been trial and error. It's a practice, you never “arrive”. Some days are better than others. I pay attention to what is going on during my current season. But what I do know is this… as we search for an ideal body and we do things that are more detrimental to get to it, it's not going to pay off in the long run. I'm going to be sharing my story in another post with the details of my second burnout that was totally different; you'll see why when when I share that with you. Today I really just wanted to focus on burn out that is a result of over-exercising and under-eating; you can recover, but it does take some intention in how you treat your body and how you feed your body. Think you might be experiencing burnout? Download the “5 Signs Of Burnout” information guide to find out if you are burning out and what your next steps should be. What Do I Eat If I Have Adrenal Fatigue? 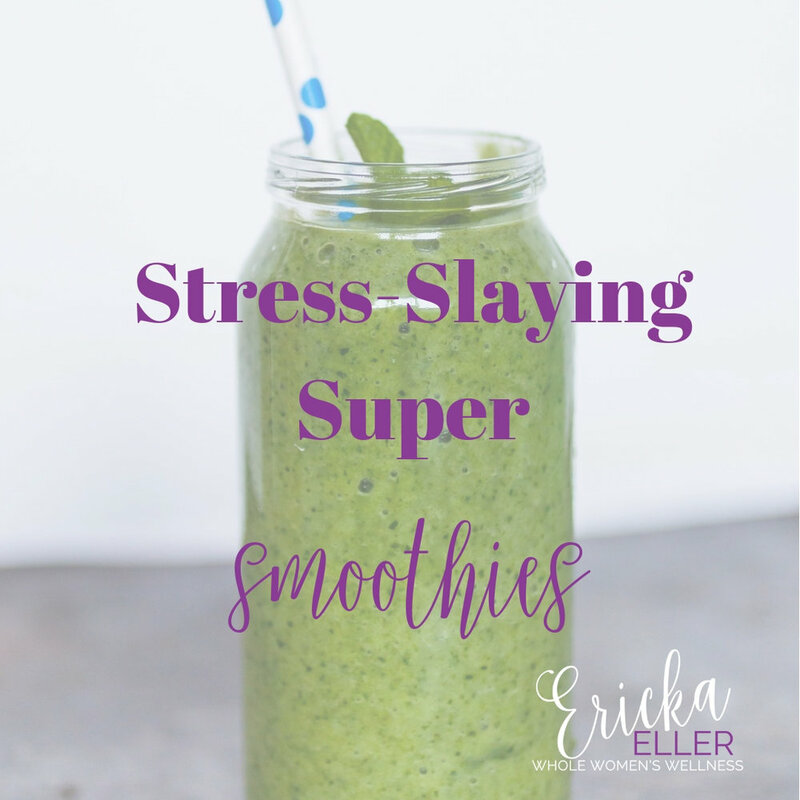 As I have coached my clients that are undergoing immense amounts of stress in their lives, I have noticed a common pattern with regard to nutrition. High carb, sugar-laden food that is lacking dense nutrition and only provides an energy crash and endless cups of coffee is the usual diet of those living a modern, fast-paced life. Leading a life that has never-ending to-do lists and expectations that are elusive, yet continue to leave us striving toward “accomplishment” has a tendency to grab on-the-go meals that can be consumed quickly and typically during a commute. A breakfast consisting of baked goods, bars, packaged shakes, or designated “breakfast” options being sold in the aisles of the grocery store that contain more sugar, preservatives, and white processed flour than the “vitamins & minerals” being touted as being delivered in each delicious bite is the norm. Friends, if this is you, I beg of you to consider your nutrition in order to begin a road to new energy and mental clarity. When you are suffering from Adrenal Fatigue, nutrition is critical to recovery. Rather than looking to a prescription or a crash-diet to solve your problems, take a good look at what you are putting in your body. Food is healing and quality is everything. Poor diet can exacerbate the suffering you experience. There are three things to keep in mind when you are trying to recover from chronic stress and Adrenal Fatigue and trying to understand what is important with your nutrition in order to recover from Adrenal Fatigue. All macronutrients are important and necessary. With the common and popular diets eliminating an entire macronutrient group, carbs are getting a really bad wrap. What people need to understand is that carbs are an essential source of vitamins and minerals that provide energy; one of the top symptoms of Adrenal Fatigue is chronic fatigue. Therefore, you NEED carbohydrates to create ATP (energy) without creating more stress internally. However, not all carbs are equal. The carbs you want to eat will consist of whole, unprocessed foods full of fiber (flax, quinoa, sweet potatoes, and cruciferous vegetables). You will want to combine a fat, protein, and complex carbohydrate with every meal. Combine fat, fiber (carbs), and organic protein when creating your meals. This offers longer satiation and a more balanced blood sugar level that doesn’t leave you with a crash an hour later. People with adrenal fatigue and blood sugar problems should go lightly on fruits, especially in the morning. But if you exercise early in the day, it may be possible for you to handle a small amount of fruit for breakfast. Exercise elevates cortisol and aldosterone levels, which in turn raise sodium levels in your blood, allowing for greater tolerance to the effects of fruit. However, be very careful of fruit consumption and if you notice that you become more tired, thick headed or start to experience other symptoms of either low blood sugar or low adrenals, then eliminate fruit in the morning. Any fruit that you do eat should be organically grown. Many people who suffer from adrenal fatigue are sensitive to chemicals in foods. Here are some recommended fruits for those with adrenal fatigue: papaya, mango, plums, pears, kiwi, apples, and cherries. Fruits to avoid would be bananas, raisins, dates, figs, oranges, and grapefruit. People with adrenal fatigue often crave caffeine or cola beverages because of the stimulatory effect of the caffeine. The difficulty with this is that caffeine also over-stimulates the adrenals, which leads to further fatiguing when the caffeine wears off. Therefore, many people with adrenal fatigue get through the day by kicking their adrenals with several cups of coffee and beverages containing caffeine or by combining caffeine, sweets, and chocolate (which contains caffeine and a caffeine-like substance). Although this makes them feel better temporarily, this regimen will eventually exhaust the adrenals even more, leading them into further difficulties. Now they have a vicious cycle repeating. They need coffee to be productive, they crash, they are exhausted and need more caffeine and sugar. And on and on it goes. Therefore, avoid or limit caffeine containing foods and beverages. Replace your coffee habit with herbal teas, mushroom elixirs, and lots of water. If you’re confused about what to eat, remember this: lean protein, carbs (in the form of greens and fiber) and fat. Every meal. It’s key to recovery. Need a breakfast or lunch that is quick to make, packed full of vitamins & minerals and gives the nutrition you need to support a body in stress? Here is a quick, cheat sheet to print and hang in your kitchen for powerful smoothies that help to promote Adrenal Fatigue recovery. Click the image below to download! This is such a quick and easy snack! It also happens to be a favorite breakfast to make myself. Cut eggs in half. Remove the yolk and place in bowl with avocado and mayo. Mix yolks, avocado and mayo together. Scoop the magic mix into the halved egg whites. Sprinkle paprika (optional). Make sure you “mmmm” at least five times while eating. *note: this will give you 3 servings of 4 egg halves. Sometimes I eat 6 halves. Eating the whole batch at once is very tempting, but 6 eggs at one time may make your family not want to be near you later. Ha! This is so hearty and filling and it stays with you all morning. It’s the PERFECT comfort food for Fall. Stovetop Method: Add all ingredients except the vanilla to a small saucepan over low heat. Cook until thickened, stirring constantly, about 3 to 5 minutes; stir in the vanilla. Serve warm. Microwave Method: Add all ingredients except the vanilla to a large cereal bowl that’s microwave-safe. Microwave on high until thickened, about 2 minutes; stir in the vanilla. Serve warm. Note: I added pumpkin seeds, walnuts, dried cranberries, shredded coconut and cinnamon as topping. I also like to add more almond milk. This is completely optional but why would you delete magic? Muy delicioso!! These are completely mind-blowing and you truly won’t even miss all the naughty carbs from regular pancakes. Still a treat and not as depleting. Add all ingredients to blender. Start with eggs and water and cream cheese so you don't have anything get stuck at bottom. Blend until smooth, scraping down the sides if needed. Let batter sit for 2 minutes. Heat a non-stick skillet to medium heat. For each pancake, pour 3 to 4 tablespoons of batter onto skillet. Serve pancakes topped with butter and syrup!